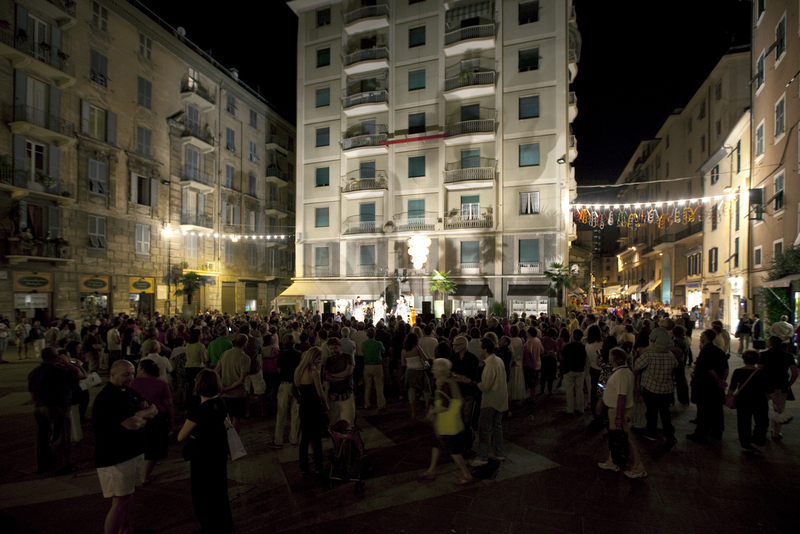 ARIA FESTIVAL IN LA SPEZIA RENEW ITS BOND WITH PALIO DEL GOLFO, AN ANCIENT TRADITION INVOLVING A ROWING RACE HELD ANNUALLY, STARTED LAST YEAR. 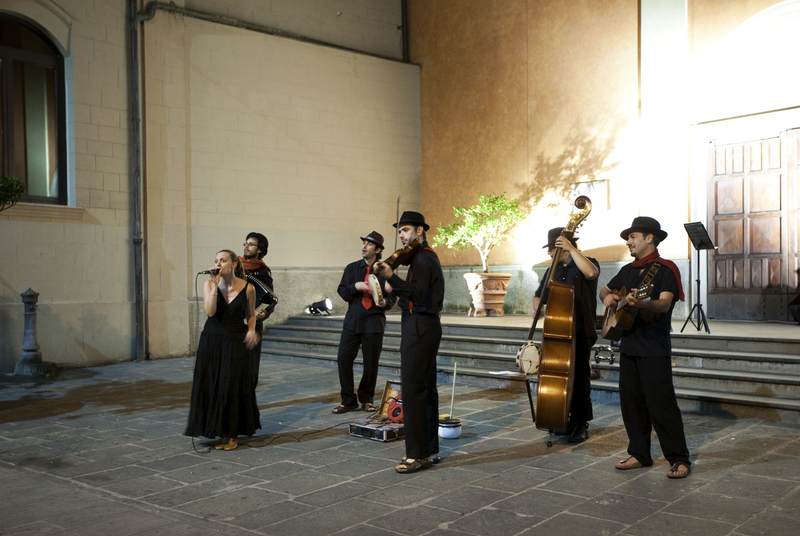 THIS TIME WE IMAGINED A ONE-NIGHT EVENT, CALLED SERATA D’ARIA, WITH MUSIC AND SHOW. 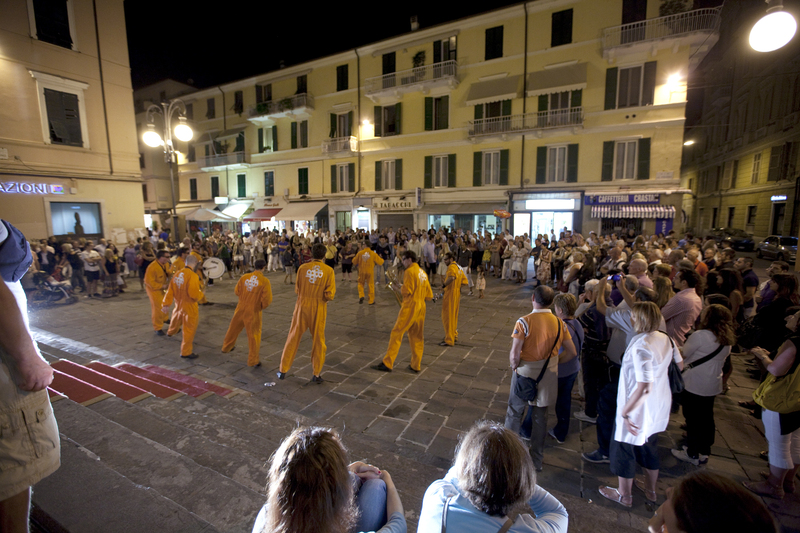 THE CENTER OF ALL THE ACTIVITIES IS PIAZZA DEL BASTIONE, WITHIN ALL NIGHT DIFFERENT BANDS, STEADY AND MARCHING ONES, ROTATE, AND FROM TAHT SPOT INVADE THE CENTER OF THE TOWN. 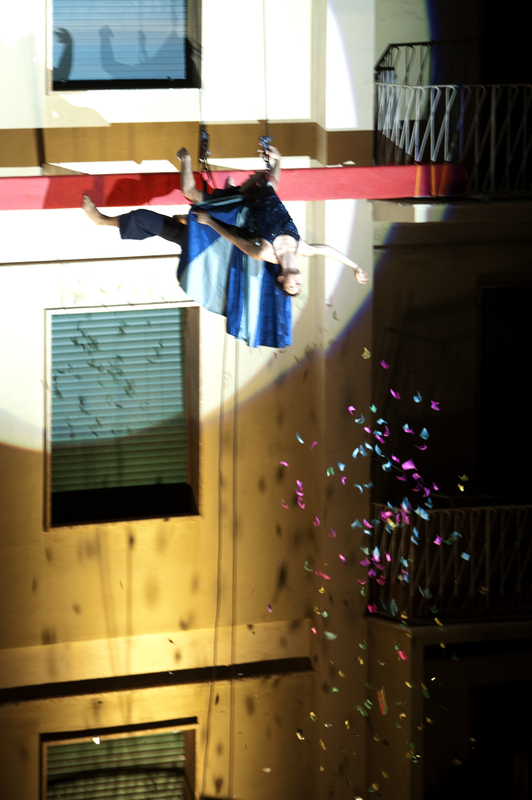 THE PEAK OF THE SOIRÈE IS THE AERAL DANCE SHOW, PERFORMED BY SPANISH COMPANY CIRCO DELICIA, WHO USED THE FACADE OF THE BUILDING SURRONDING THE SQUARE. 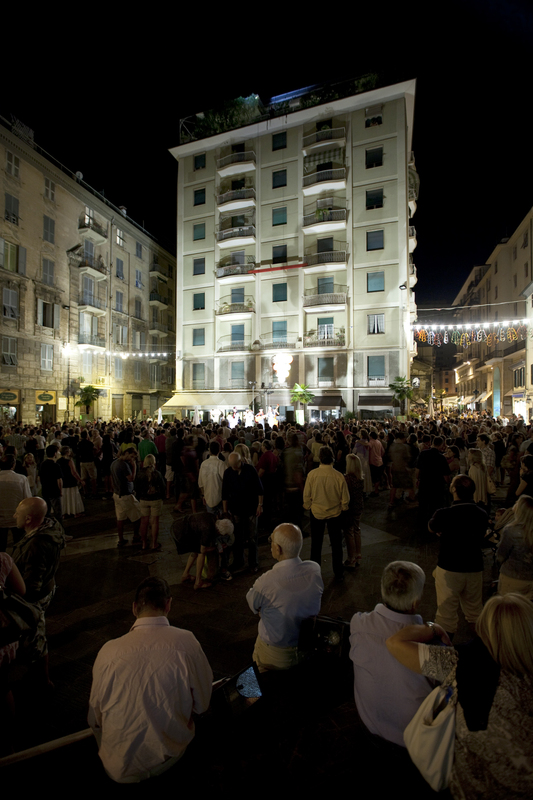 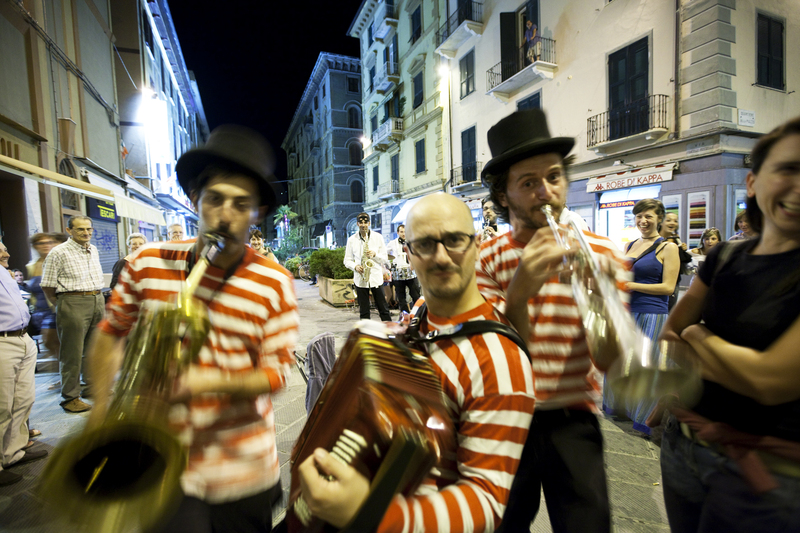 “SERATA D’ARIA” IS THE PROLOGUE TO THE COMPLETE ARIA FESTIVAL, THAT WILL BE HELD IN SEPTEMBER IN LA SPEZIA AND VERNAZZA.